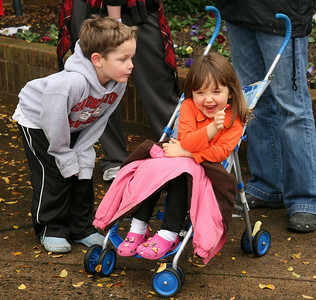 A child of the Boiling Springs community teases his sister as they wait with their parents for the start of the Homecoming day parade on Saturday. 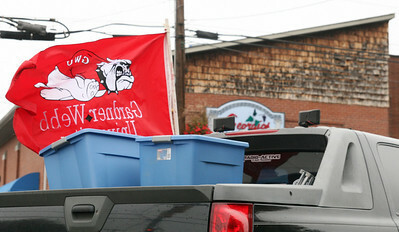 A truck sports the Gardner-Webb Runnin' Bulldogs flag just prior to the Homecoming day parade, featuring the Army ROTC color guard, the GWU Marching Bulldogs, candidates for Homecoming queen, floats from each class and floats from several clubs. Boiling Springs Fire and Police Departments also made an appearance. 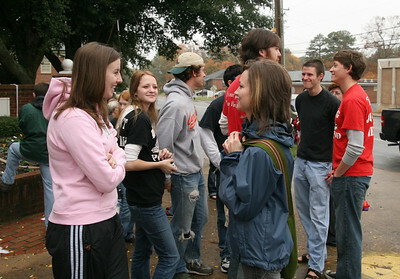 Students and alumni await the start of the Homecoming day parade on Saturday. 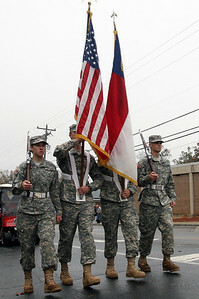 Gardner-Webb's Army ROTC color guard marches in the Homecoming day parade on Saturday. 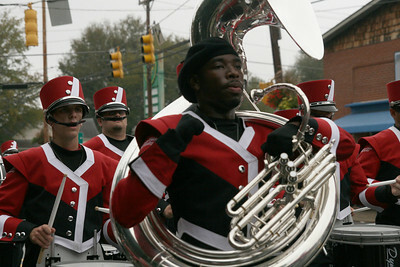 A sousaphone player of the Marching Bulldogs chants to the Fight Song during the Homecoming day parade on Saturday. The snare line of the GWU Marching Bulldogs drums to the Fight Song during the Homecoming day parade on Saturday. 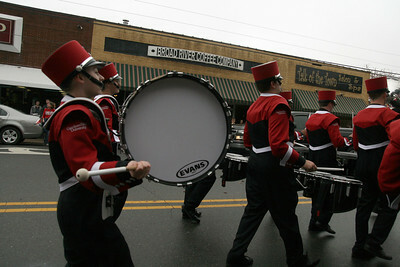 The Marching Bulldogs' tenor line plays the Fight Song during the Homecoming day parade on Saturday. 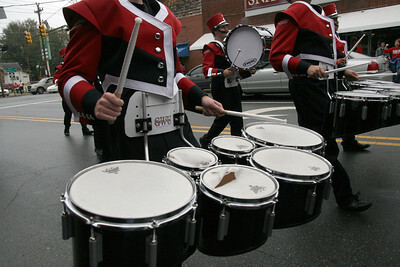 The Marching Bulldogs' drumline sets the rhythm for the Homecoming day parade on Saturday. 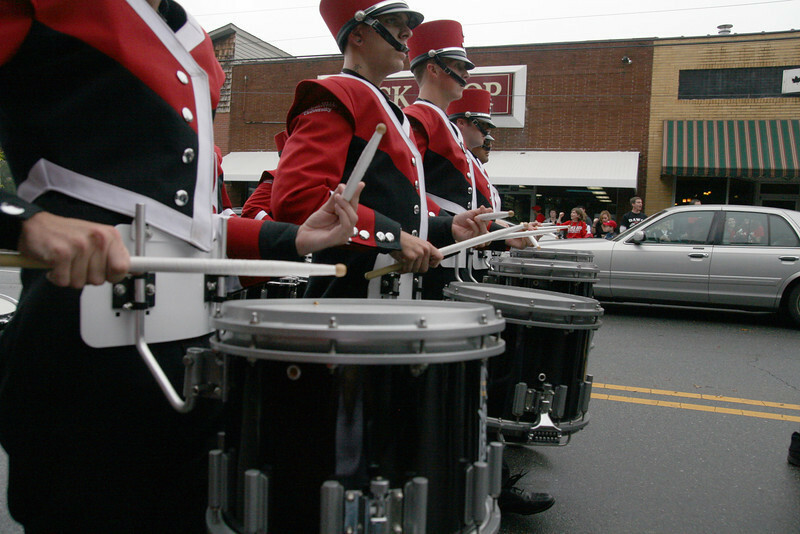 The Bulldogs Cheerleading Squad makes an appearance at the Homecoming day parade on Saturday. A firefighter of the Boiling Springs Fire Department smiles for the camera during the Homecoming day parade that featured the Army ROTC color guard, the GWU Marching Bulldogs, candidates for Homecoming queen, floats from each class and floats from several clubs. 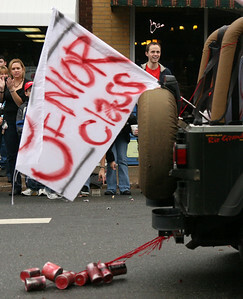 The senior class sponsored a Jeep float for the Homecoming day parade on Saturday. 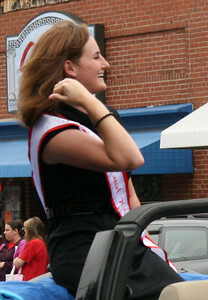 Claire Saunders, candidate for Homecoming Queen, laughs with the crowd during the Homecoming day parade on Saturday. 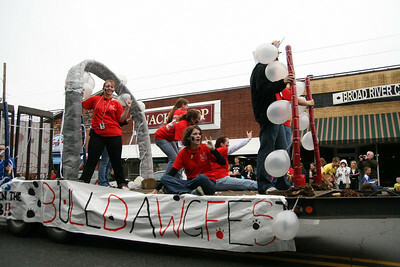 The Deaf Club shows off their float during the Homecoming day parade on Saturday. 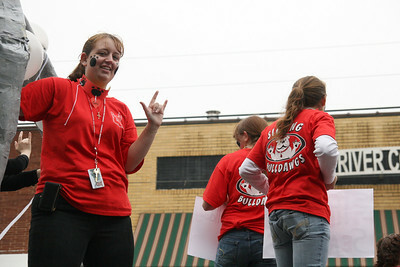 A Deaf Club member shows off the club sign while riding the float during the Homecoming day parade on Saturday. 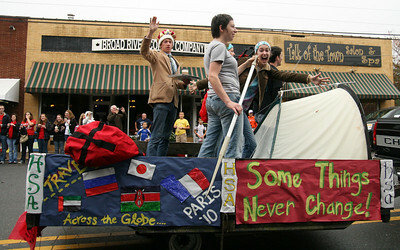 The Honors Student Association encourages the crowd to "go green" from their float during the Homecoming day parade on Saturday. 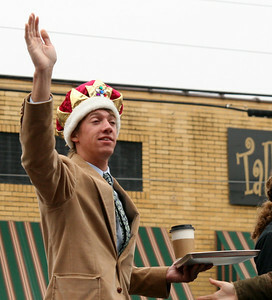 Matt Jones, senior, waves to the crowd from the Honors Student Association float during the Homecoming day parade on Saturday. 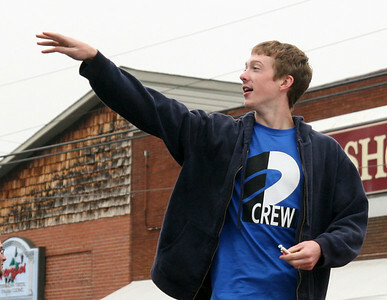 A sophomore tosses candy to the crowd from the sophomore class float during the Homecoming day parade on Saturday. 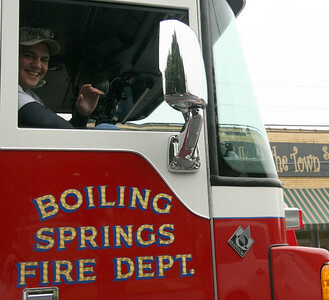 A member of the Boiling Springs Fire Department waves for the camera during the Homecoming day parade on Saturday.